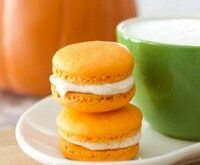 Fall is just about here and I’m getting in the mood for pumpkin decorating! I remember carving when I was little; we used to do it in the garage because it was such a mess. 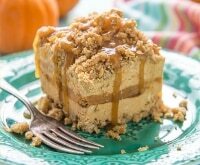 I still like to make a mess now and again, but for those times when I don’t, there are no carve pumpkins. 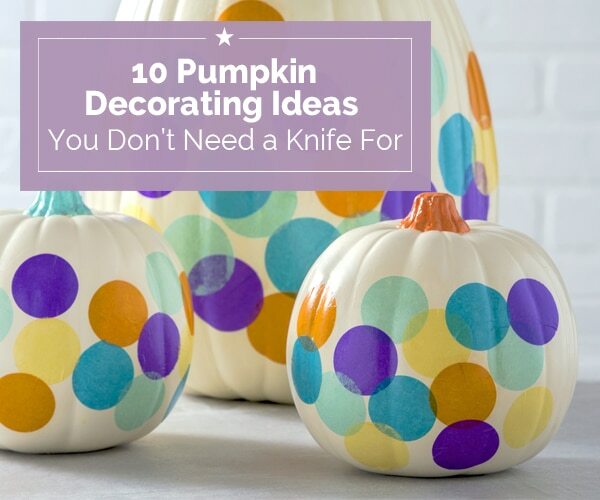 I have a very easy idea for you today that just takes a few simple supplies: Confetti pumpkins! 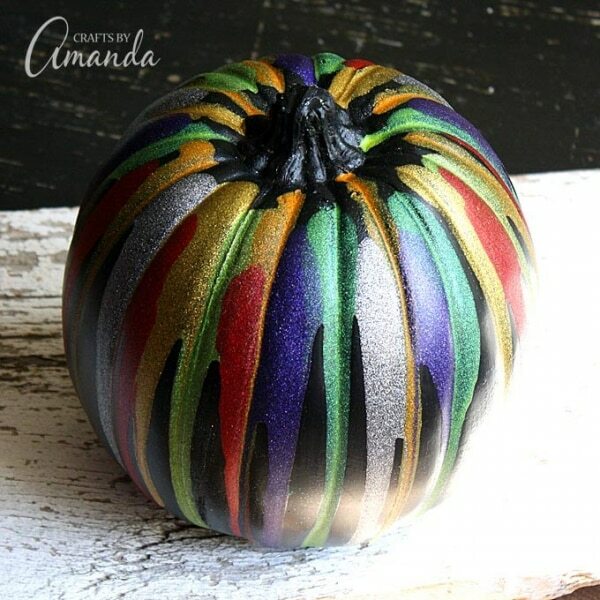 I love this confetti pumpkin decorating idea because it completely blows the idea of a traditional orange and black pumpkin out of the water. And if you have leftover tissue paper from a party, this is the perfect use for it. 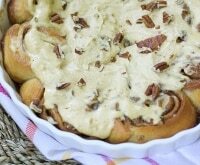 You can make them in just a few minutes. Here’s how it’s done. Do you still have the itch to carve up a jack-o’-lantern this year? Check out our tips for mess-free pumpkin carving! 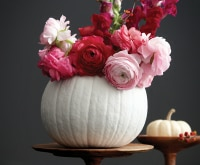 Find your faux white pumpkins at Michaels — and don’t forget to clip a Michaels coupon! 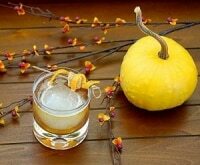 Paint the stems of your pumpkins with several coats and let dry. Step two: Let’s make some confetti! Punch a variety of circles out of your tissue paper. I used a 1 1/2-inch punch to do this, but if you don’t have a punch, print out a circle template online and use it to trace and cut. Quick tip: It’s harder to punch just one sheet of tissue paper! 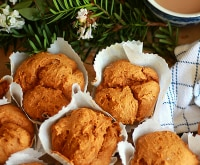 I found you need about six sheets or more for the smoothest cut — but you still need to gently pull the tissue paper out of the punch when you’re done. It’s very easy to tear it! Apply your tissue paper confetti circles to the pumpkin in a random fashion as shown. 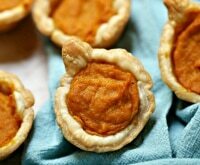 Place a bit of decoupage medium on the pumpkin, place the circle on top, and lightly brush it down. You don’t want to brush too much on your first layer because you can start rubbing some of the ink out of the paper, so be gentle! 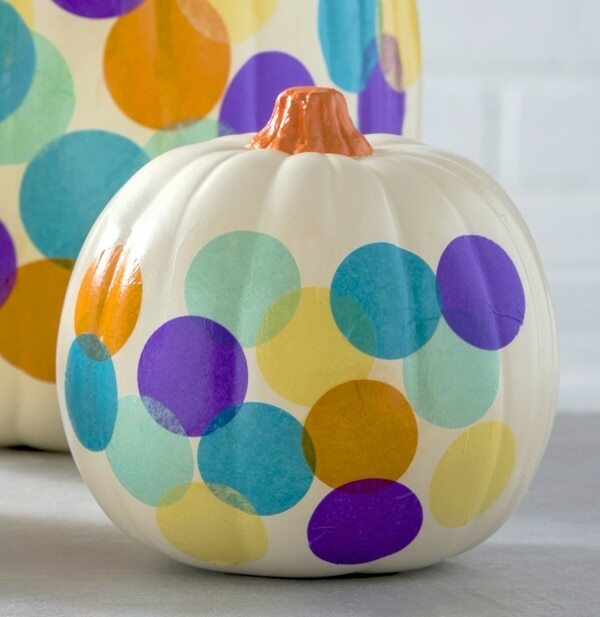 Once you’ve applied all your confetti circles, let dry and then give your pumpkins a final coat of Mod Podge. Now show off your amazing work! Want to see this idea in action? Check out my video below! Keeping reading for more unique, no-carve pumpkin decorating ideas! 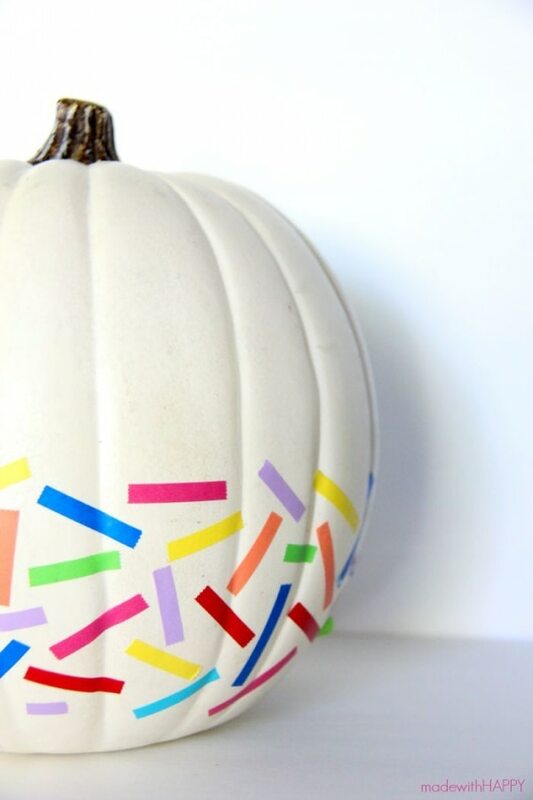 This colorful pumpkin is similar to my confetti pumpkin above, but you use strips of washi tape instead. 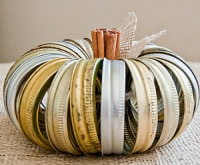 Get as creative as you want by taping your pumpkin in fun patterns, like stripes or even chevrons! 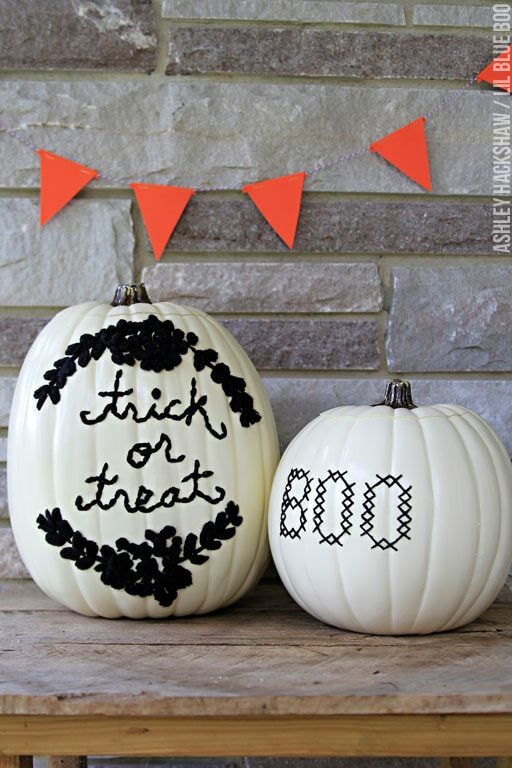 Take your project up a notch by creating these gorgeous Hand-Stitched Pumpkins! 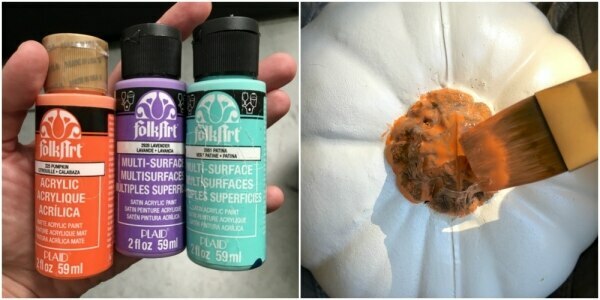 You’ll need a drill to make holes in your faux pumpkin, but the end result is so worth the effort. 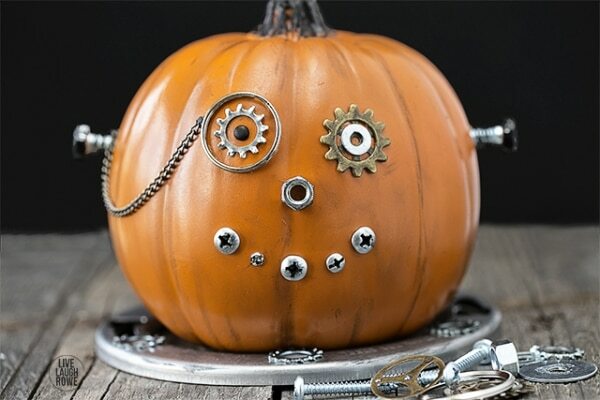 This Steampunk Pumpkin is a throwback to the Victorian age. Gather up any leftover nuts, bolts, and screws you have lying around and give Mr. Pumpkin some eyes, a nose, smile, and even a monocle! All you need is glue dots and heavy paper to create this haunting 3D scene right on your pumpkin. 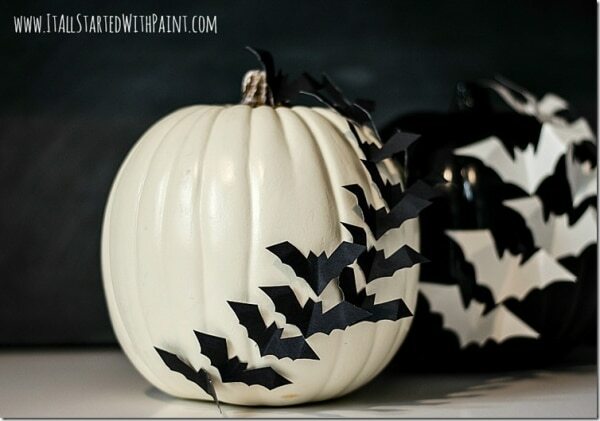 This would make a fantastic Halloween party centerpiece! Everything is better with glitter, right? This is so true for these adorable Princess Pumpkins! Paint them up in your favorite glittery colors, then embellish them with flowers, butterflies, snowflakes, you name it! 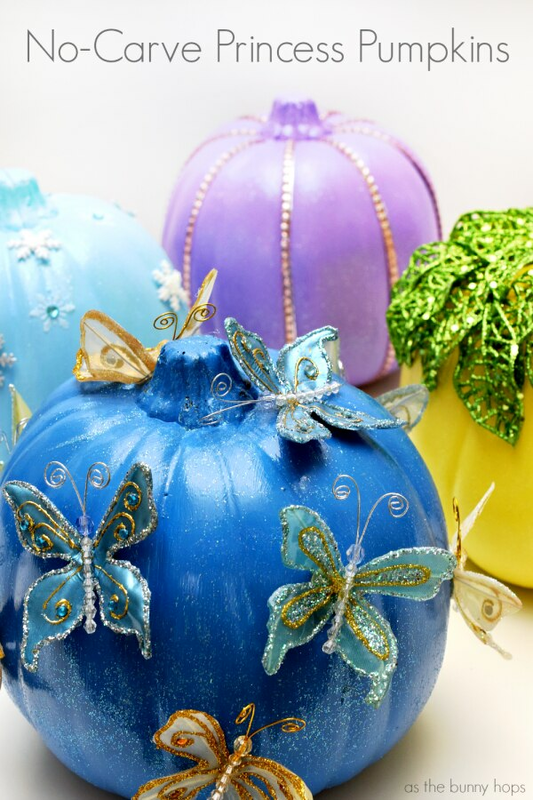 Speaking of glitter, this Glitter Drip Pumpkin is so easy and fun to make. 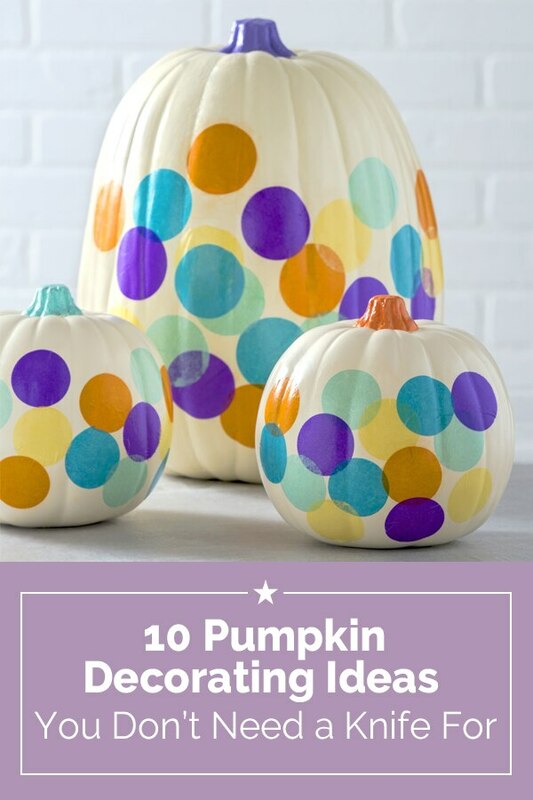 I know a few kiddos who would love to mix and drip some glittery paint on pumpkins this year! 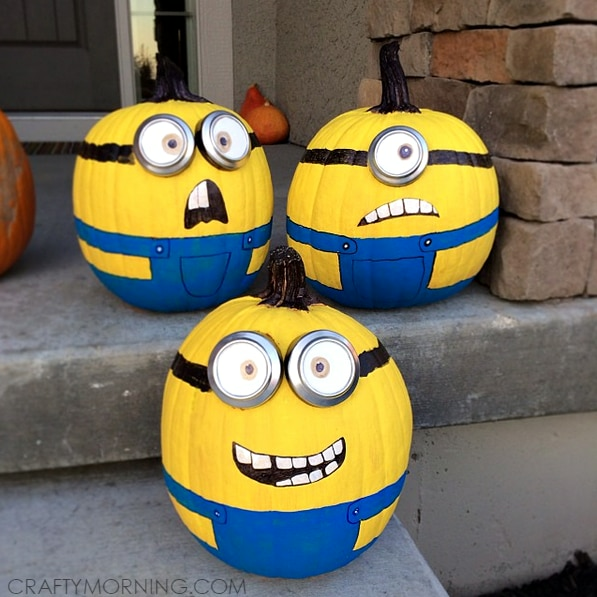 The round shape of pumpkins makes them the perfect base for these Painted Minions! Add some overalls, googly eyes, and silly faces to these banana-loving monsters for an adorable front porch display that will win you tons of compliments. 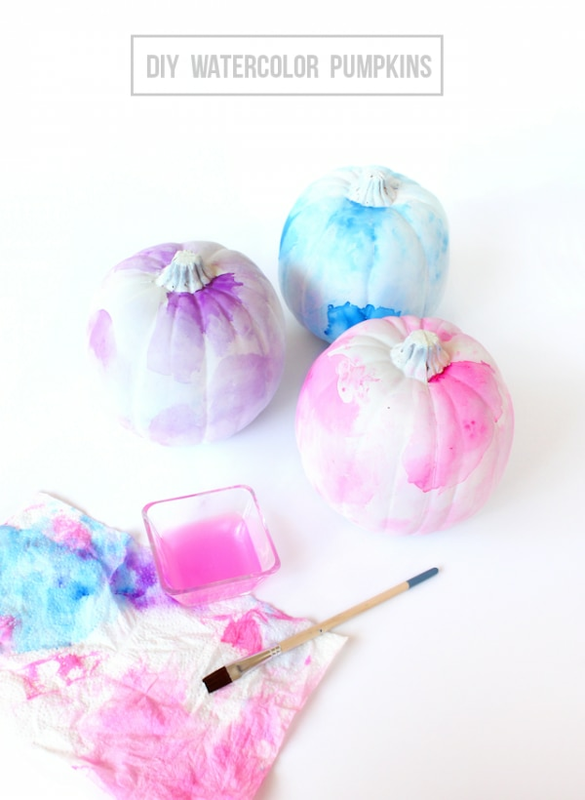 These Watercolor Pumpkins may look fancy, but they’re actually quite easy to make. 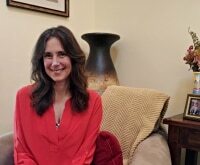 They can also add a fresh pop of color to your fall decor if you’re missing summer’s bright hues. 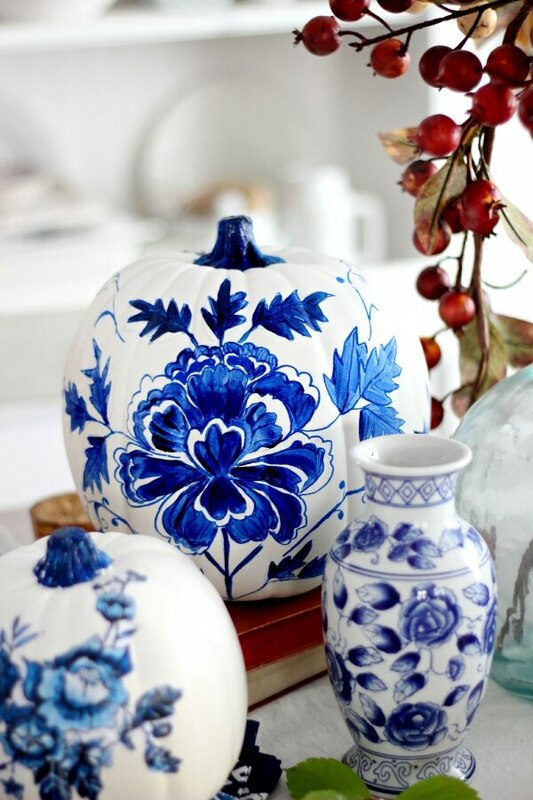 These Porcelain Pumpkins look like they came straight out of a fine china store, but you won’t have to caution the kiddos to “Look, don’t touch!” Sketch out a design and then fill in the color with a paint marker for a total pumpkin makeover that will have everyone asking how you did it. Your turn! 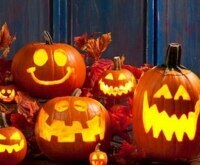 What are your favorite no-carve ways to decorate pumpkins? Let me know in the comments!